The caladium originated in the Amazon jungles of South America. Caladiums are a summer bulb (tuber) that should be planted when all danger of frost is over and the soil temperature has reached 65 Fahrenheit. Caladiums will thrive in the hot summer and paint your gardens with heart-shaped leaves of red, white, pink and green until the first cold nights. Caladiums are easy to plant and are beautiful as a ground cover or border, or in pots, hanging baskets and planters on your deck and inside your home. 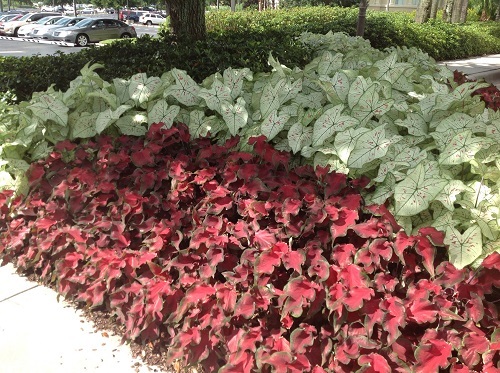 Mix several caladium varieties in your landscaping for a colorful contrast. 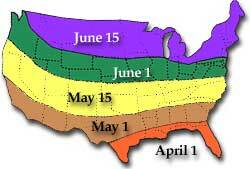 Planting caladiums for your area can be determined by the planting zone map. Caladiums need warm weather to sprout. Once the ground temperature reaches 70 degrees Fahrenheit, plant the caladium bulb, eyes up, plant #1s 7-8 inches apart, and jumbos 14-18 inches apart and cover with 1 1/2 inches of soil. Planting caladiums more densely will increase the height of the stem. Cooler weather will delay sprouting. Use a well-drained high peat soil. Water the caladiums frequently to keep soil damp, not soaking. Lightly fertilize your caladiums every six weeks with the fertilizer you normally use (or 6-6-6 slow release fertilizer). 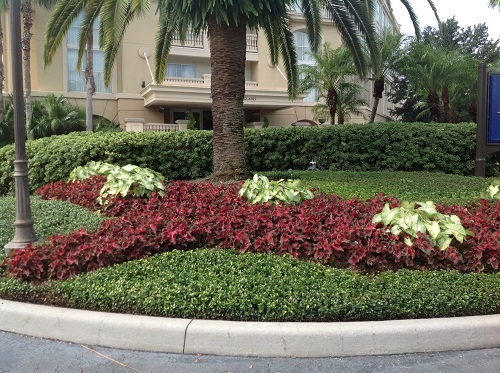 In the fall, let the leaves die back, then before the first freeze, dig up the caladium bulbs, leaving the leaves on. Store in mesh or paper bags between 65-70 degrees Fahrenheit. Plant the caladium bulb, eyes up, in a plant mixture and cover with 1 1/2 inches of soil. Moisten soil and keep moist. For three weeks, keep the pot in as warm an area as possible with temperatures from 70 degrees Fahrenheit at night to 90 degrees during the day. After three weeks, your caladium pots will have spiked. As soon as you can see color, put the caladium in a light, bright area indoors (artificial light is ok) or preferably outdoors if its warm enough. My sister, in Antwerp, Ohio, puts her caladium pots down outside in individual holes. After the first cold knocks the leaves down, she brings them in and stacks them in a pantry which stays between 65-70 all winter. In May, she puts the caladiums in a warm area, starts watering them and puts them out again in June. 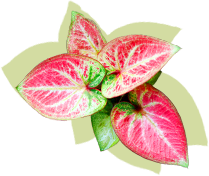 Cut caladium leaves will keep indoors for 2-3 weeks and are odorless and non-allergenic. Leaves should be soaked for 24 hours before using in arrangements. Florists should be cautioned not to put caladiums in coolers with temperatures less than 60 degrees Fahrenheit. This is a hot weather, summer caladium bulb. The bulb will be damaged causing dwarfed leaves if the temperature reaches below 60 degrees for a prolonged period of time.